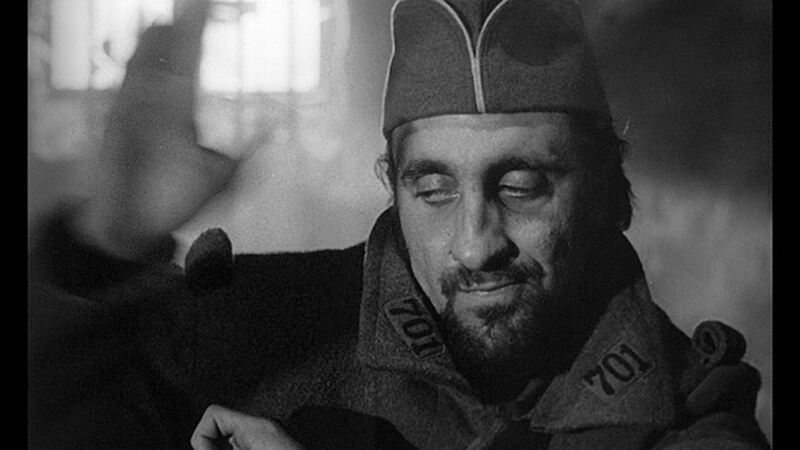 1957 / Paths of Glory – Timothy Carey kills a cockroach. U.S. Director: Stanley Kubrick. Cast: Ralph Meeker, Timothy Carey. Why It’s Key: A quintessential character actor achieves his apotheosis when his character kills a bug. We’re apt to laugh at the absurdism and grotesquerie of the moment — especially Timothy Carey’s deadpan delivery, as if he had a mouthful of mush and was soft-pedaling the phrase like Lester Young on his tenor sax. One of the creepiest character actors in movies, he doesn’t fit the period; even if we accept him as a French soldier, accepting him as one in World War I is more of a stretch, because he registers like a contemporary beatnik. That’s also how he comes across in East of Eden, One-Eyed Jacks, The Killing, or The Killing of Chinese Bookie. But for precisely that reason, he gives the line the existential ring it deserves.